Jordan Brisbane, currently a 10th grader at Woodville/Tompkins High School began singing at the age of 5. He began to show interest in becoming a professional singer at the age of 10. That’s when he decided to audition for The American Idol. 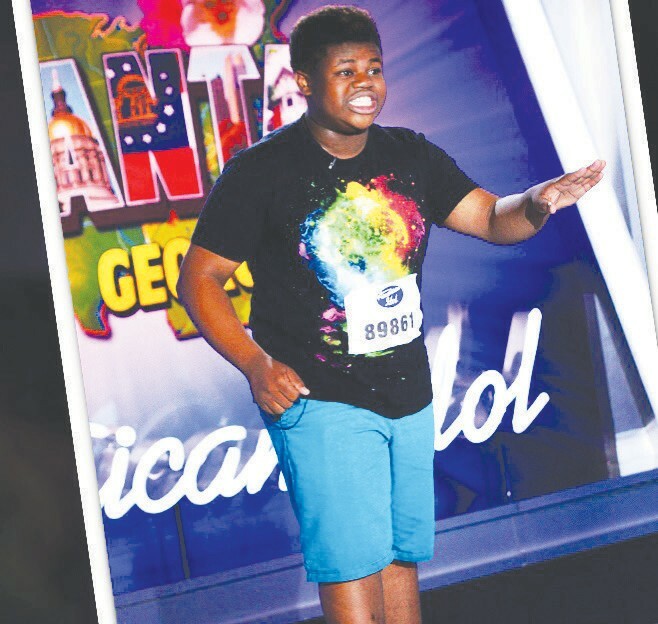 Brisbane received his application for the 13th season of American Idol the day before he was to audition at the Gwinnett Center in Atlanta, July of 2013. After enduring long lines and several auditions he was able to sing Stevie Wonder’s “Signed, Sealed, Delivered” for the executives of the show. Satisfied with his performance, Brisbane reached the celebrity auditions where he performed Bruno Mars’ “When I Was Your Man” for judges Harry Connick, Jr., Keith Urban, and Jennifer Lopez. He was the last contestant and among the youngest in the competition, still he was credited with having “raw talent” and received a “yes” from all three judges. Then on to Hollywood. For Brisbane, those days were hectic and passed swiftly. When he stepped in front of judges again, he performed Natalie Cole’s “Inseperable”, the song that had gotten him through his first auditons in Atlanta. His next obstacle was group rounds, where he joined three other female contestants, who were also minors, in forming the group “Vivacious”. They performed The Jackson Five’s “I Want You Back” after being approved by vocal coach Layala Hathaway, who was a back up singer for Micheal Jackson. When it came time to perform the choreography and song they had rehearsed endlessly, Jordan stumbled over his lyrics, but still managed to impress the judges enough to make it through to the next round. In the solo round Jordan performed Beyonce’s “Halo” with the band “B-minor” and shocked the judges with his range. He received a standing ovation and became the only person of his group to make it to the top 48. His next performance for American Idol was at the Green Mile Theatre in Pasendena with no audience and only the judges sitting in director chairs. The Judges deliberated and mentioned that Brisbane had not received any “NOs”. And that day it was another “YES”. He had made it to the top 30. Then came the photo shoot. He received another round of approval from the judges then was allowed to return home for three weeks. He returned to L.A with the opportunity to visit the Terranea Resort and attend Randy Jackson’s workshop, where he participated for a week with a fashion crew, vocals and staging. Following the week-long workshop, Bris- bane got to come back to his hometown, Savanah, Georgia to prepare for the “live shows” of American Idol, having a big send off held at Woodsville/Tompkins High School. Back in L.A he performed again and before being able to sing “Signed, Sealed, Delivered” by Stevie Wonder in his next performance, he got the news he had been cut. Before American Idol auditions, Brisbane has worked with Jazz singer Huxsie Scott and recording artist Porshia Mitchell. March 28- Youth Event-Kingdom Life and the Gospel Explosion 2014 to be held at St. John on April 26th at 4pm. Jordan is the son of Emon Brisbane and David Grayson.